Portside SconcePortside Sconce, Antique Brass alt="Portside Sconce, Antique Brass"
Print Inspired by the portholes of old steamliners, our half-moon design is a modern classic. 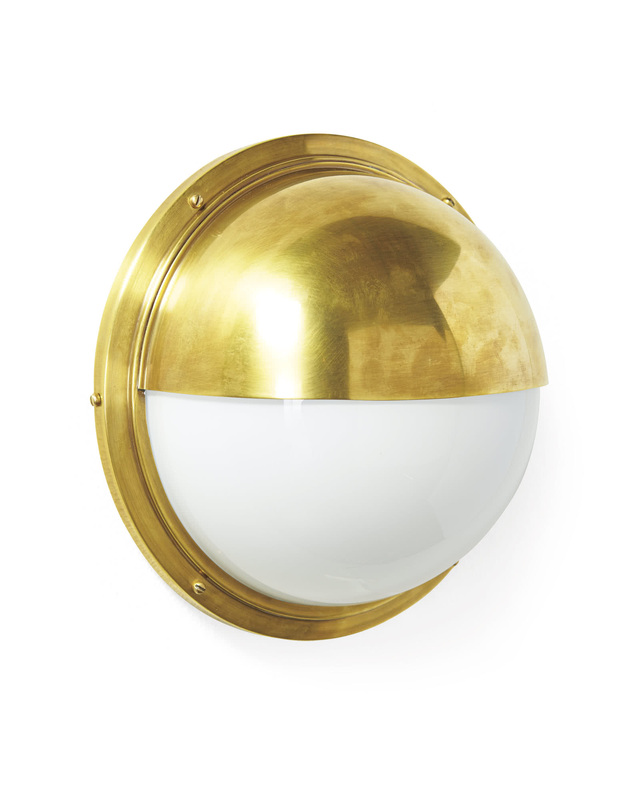 It features a rich antique brass finish against milky white glass, and can be hung with the shade facing up or down. Brass with hand-rubbed antique finish. Can be hung with the shade facing up or down and used indoors or out. If using outdoors, hang with the shade facing down.